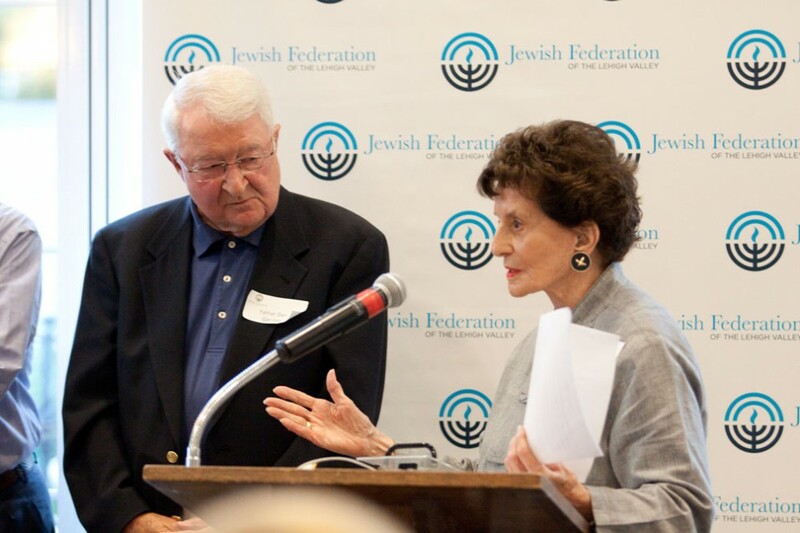 The Jewish Federation’s annual golf tournament honors the theme of prejudice reduction in the spirit of Mortimer S. Schiff, who cared deeply about bringing together people of all backgrounds. This year the tournament will add a new element to further allow participants to demonstrate their caring and commitment to prejudice reduction efforts and other important causes that the Federation supports. In addition to the annual reverse raffle that participants have come to look forward to at the tournament, new live auction items will be interspersed throughout, offering participants the opportunity to purchase charitable service packages. Packages will include sponsoring a prejudice reduction workshop for Lehigh Valley students, sending food packages to vulnerable people in war-torn Ukraine and securing funding to provide expert speakers to local public schools. “The addition of these service packages promises to widen the already significant impact that the golf tournament is able to make toward prejudice reduction,” tournament co-chairman Barnet Fraenkel said. Now in its fourth year, the Schiff tournament brings together a diverse array of players for a first-class day at Lehigh Country Club. “Players have come to recognize the tournament as a top-notch event that provides great value as it indulges participants in delicious food from a sumptuous breakfast buffet, on-course snacks and a delectable dinner alongside great prizes and gifts – not to mention playing one of the best courses in Pennsylvania,” said Richard Schiff, tournament co-chairman. Proceeds from the tournament support the Jewish Federation’s Annual Campaign for Jewish Needs, which helps feed the hungry, comfort the elderly, inspire Jewish life and learning in the Lehigh Valley and rescue the vulnerable in Israel and all over the world. Some of the most vulnerable, survivors of the Holocaust, are suffering a double indignity as they once again are the victims of war and prejudice in places like Ukraine. With the help of the Federation’s overseas partners, life-saving services are delivered to elderly and infirm Jews. Local students receive tolerance education through Federation-funded prejudice reduction workshops. The 4th Annual Mortimer S. Schiff Memorial Golf Tournament will be held on Monday, June 15, 2015, at Lehigh Country Club. REGISTER NOW or LEARN MORE. All registrations must be postmarked by Friday, May 22.